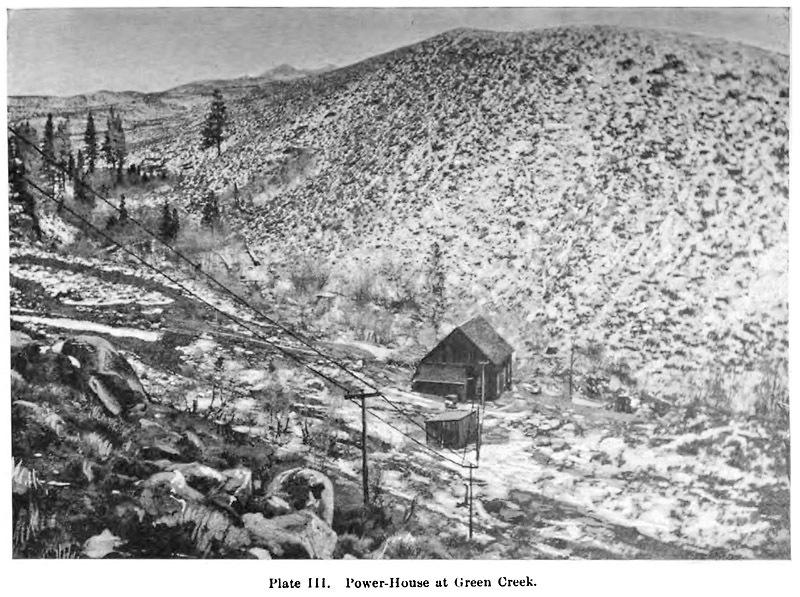 Above: The Green Creek Power Plant, source of electric power for the Standard Mill in Bodie, as shown in an 1894 article by Thomas Leggett. 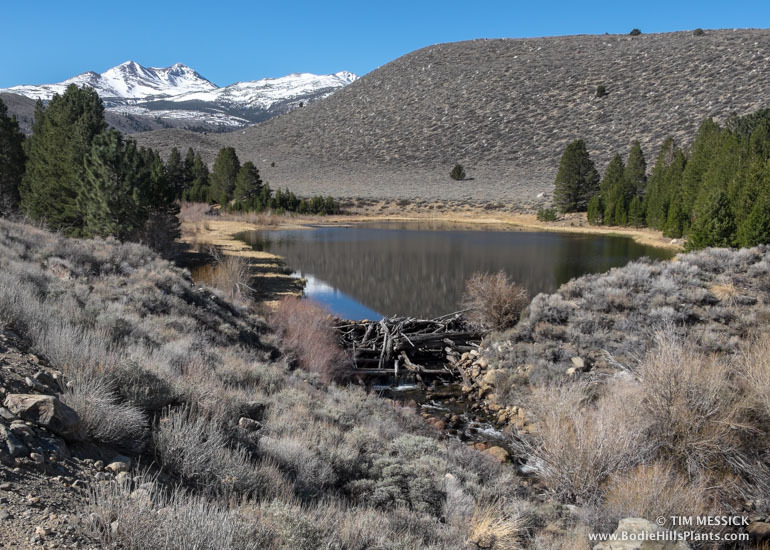 This was probably taken in late spring (notice the patches of snow and the leafless deciduous trees along the creek). Notice too, the scarcity of pine trees near the power house. 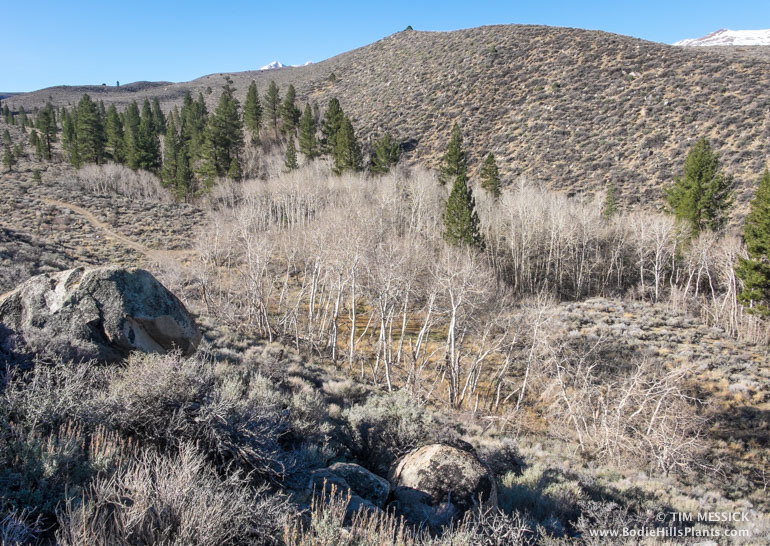 Below: Green Creek from the same location, in March 2015. Water for the turbines came via ditch and penstock from Dynamo Pond, behind the pines near the left edge of both pictures. 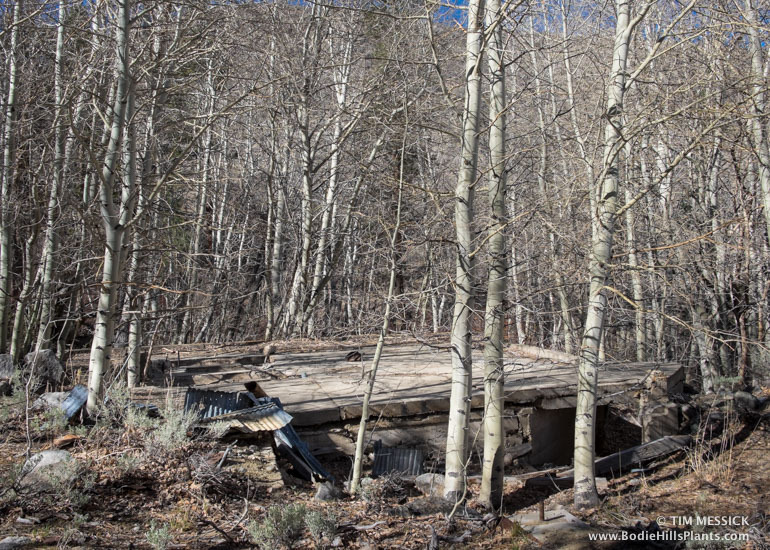 Remains of the Green Creek Power Plant. 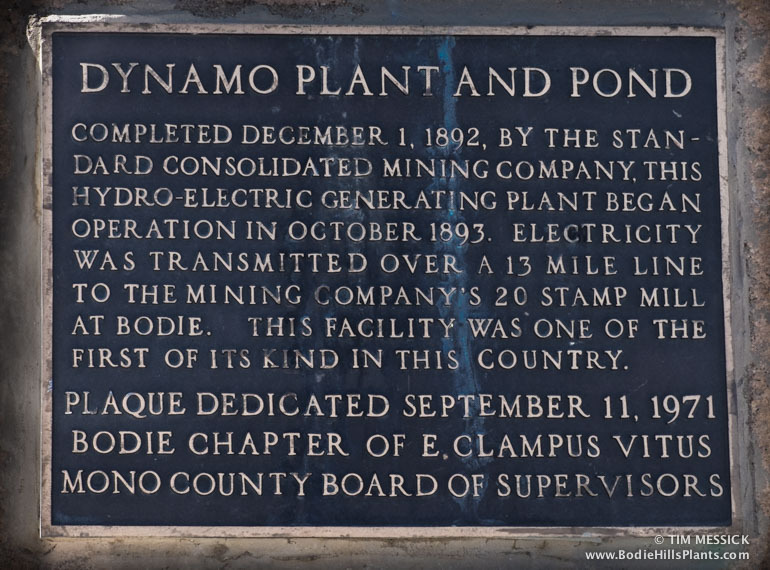 Historic marker near Dynamo Pond. 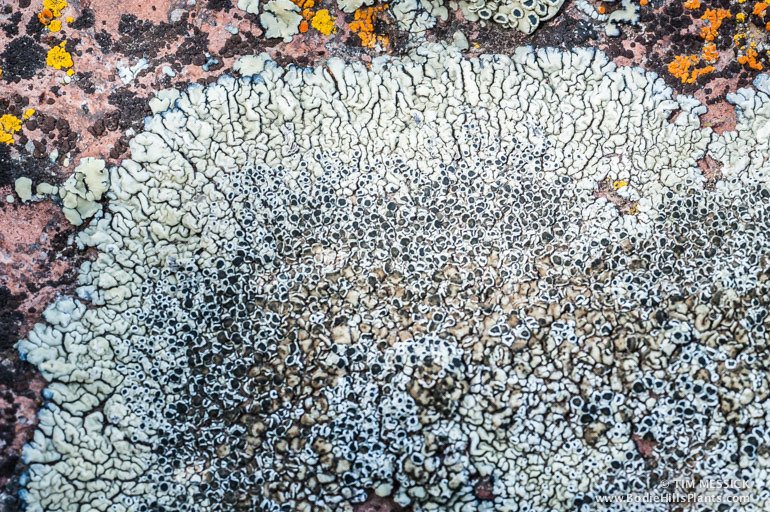 You can’t wander far in the Bodie Hills without noticing some of the colorful lichens growing on rocks throughout the area. Look closer, and you will see a wide variety of shapes and colors, including some that are inconspicuous at first glance. 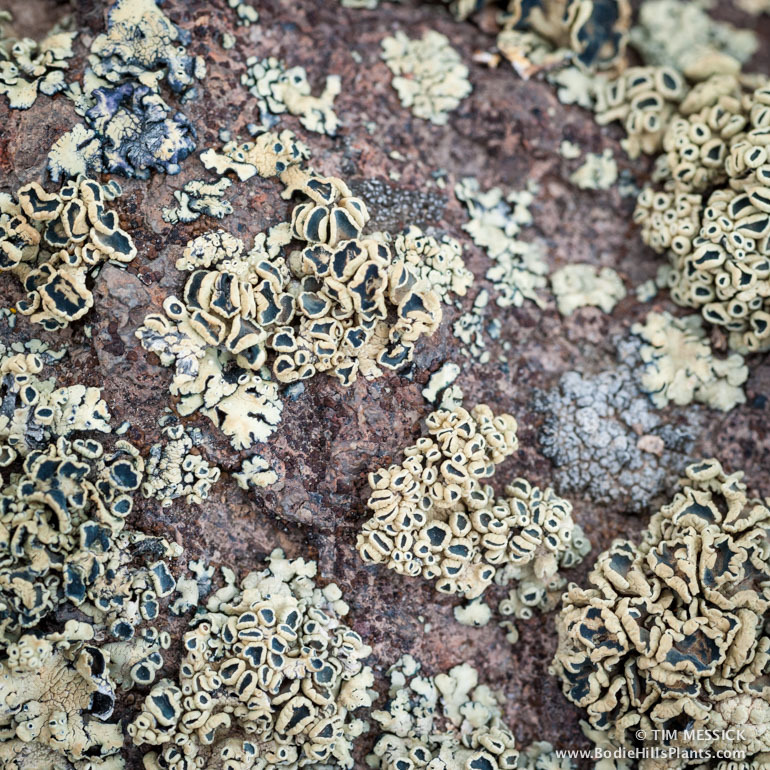 Nearly all of the lichens in the Bodie Hills are saxicolous (they grow on rocks). 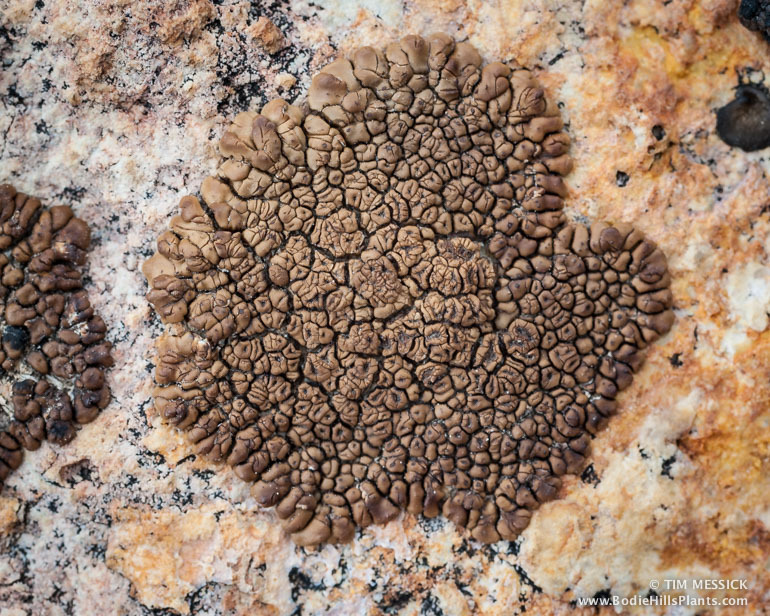 Many, like Acarospora, are crustose (tightly attached to the substrate, often broken into cobble-stone like “areoles”); some, like Rhizoplaca, are squamulose (composed of small, overlapping, scale-like lobes); a few, like Umbilicaria, are umbilicate (attached to their substrate only at a central point). 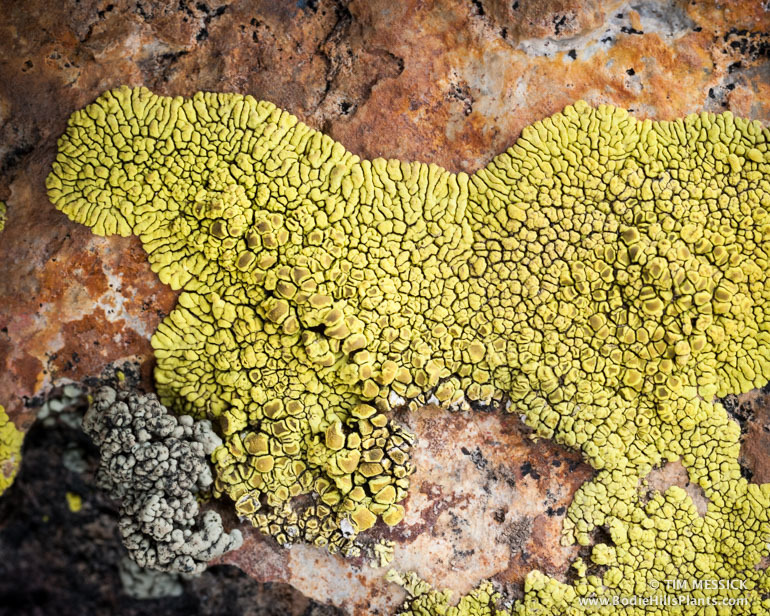 These are some of the lichens found in the Chemung Mine area on the north side of Masonic Mountain—a place where both the flowering and non-flowering floras seem particularly diverse and colorful. Gold cobblestone lichen, Pleopsidium flavum. 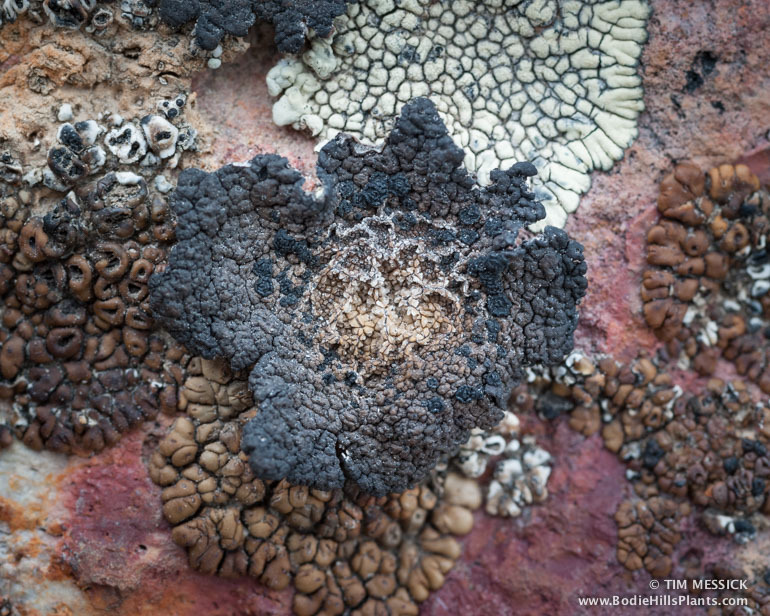 A brown cobblestone lichen, Acarospora (probably) rosulata. 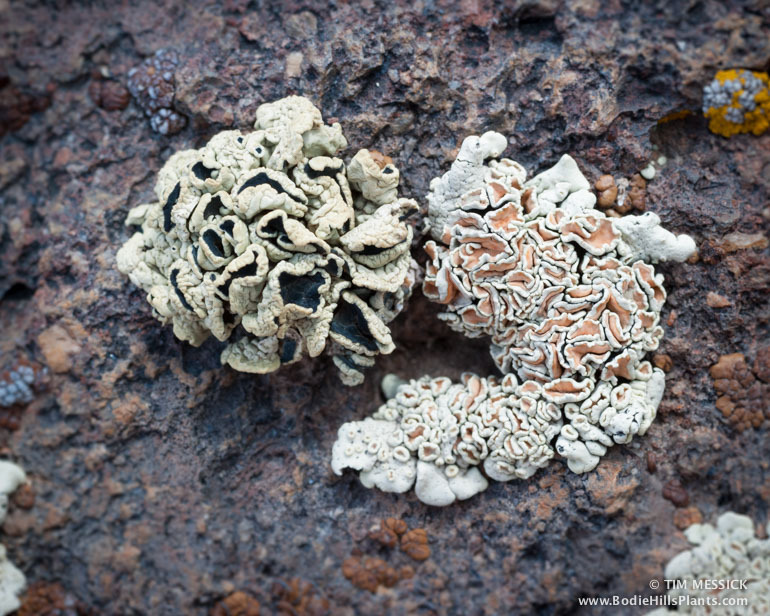 Desert firedot lichen, Caloplaca trachyphylla. and widespread lichens in the Bodie Hills. A rock tripe, Umbilicaria krascheninnikovii (I think). 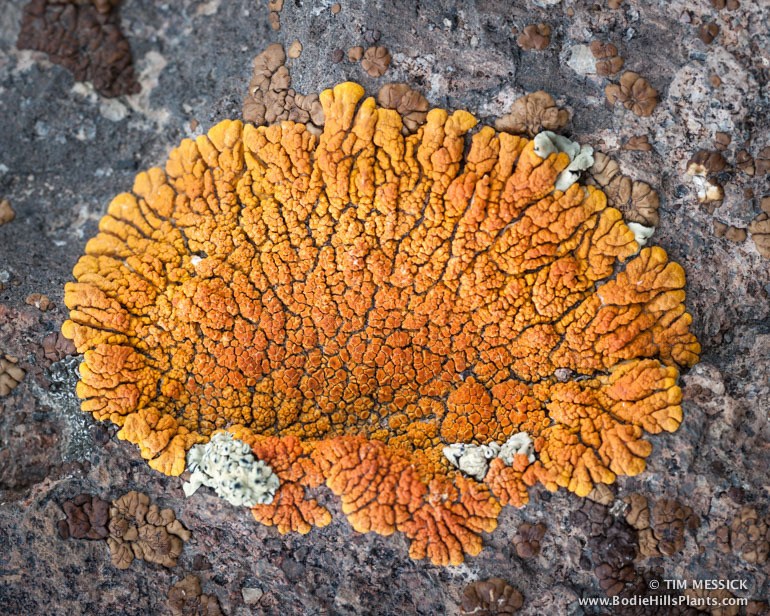 Other good visual resources include Stephen Sharnoff’s on-line lichen gallery and the lichen groups on Flickr, including Lichen Communities of North America, and Lichen.